Here are the anniversaries, our headline comes from 2003 – the Unbeaten Season. Arsenal found guilty of raising 20% of its income by illegal means. The Times’ campaign to have professional football stopped. Arsenal plane involved in near miss on landing. Arsenal kick the ball out for an injury, Spurs keep it and go on and score. When? Who played 472 games for Tottenham and 327 games for Arsenal? 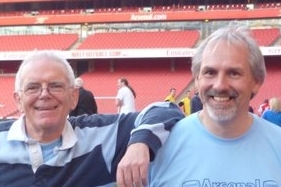 The series “Henry Norris at the Arsenal” is now complete. The index to all the articles can be found at Henry Norris at the Arsenal. The final article just published is Henry Norris at the Arsenal: 1928 to the end. The centre half plays inside right, the left back plays centre forward. Just another league match. Fifa manage to write the rules of football down wrongly! Henry Norris at the Arsenal: 1928 to the end. There is a link to all the articles in this series on Henry Norris at the Arsenal at the foot of this piece. This article concludes the series. There is a note on what will happen next in the final paragraphs. Sir Henry Norris leaves Arsenal and the legal disputes wend their way. A bottle is thrown during a match and hits a policeman and the FA do…. nothing. “Another suttering performance”. A typically bonkers press comment.